50/50 - this presentation of ten beautifully demonstrated step-by-step cut and colour techniques for men and women, designed to educate, innovate and provoke creativity within the advanced hairdresser. 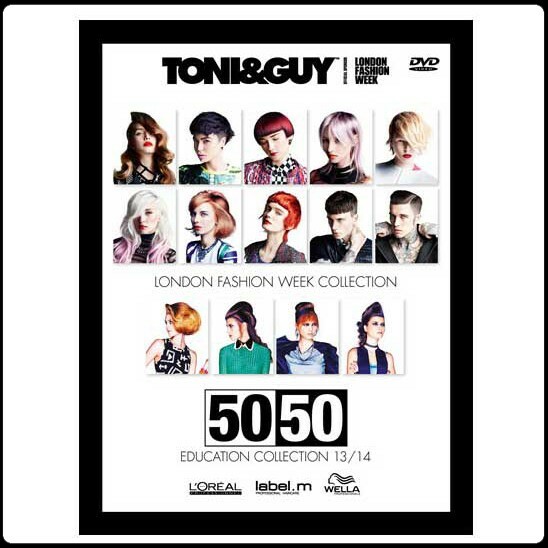 A truly iconic celebration of TONI&GUYs past fifty years of inspirational, trend-defining, fashion-led hairdressing. The collection represents hairdressing that has changed the face of the industry forever, while the collection also looks firmly into the future with an eclectic mix of inspirations from the TONI&GUY International Artistic Team.